Comic book crossovers are those rare pieces of literature history that can fulfill our wildest fantasies. These pieces of fiction are either a hit (Batman vs. Predator) or a miss (DC vs. Marvel). The Sonic and Mega Man crossover manages to do everything right. And this is from an Archie Comics publication. Okay, so the Archie Comics snipe was a low blow. I’d only written it because I never liked the Archie titles at all. Today, that changed. 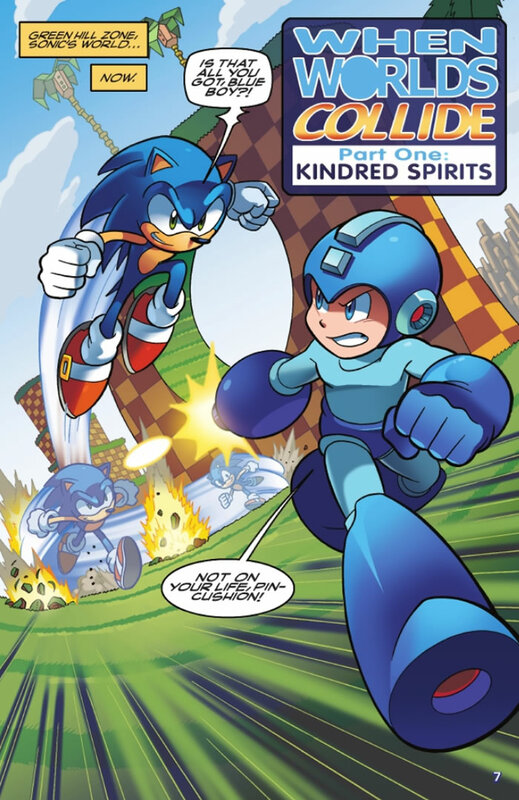 Well, today it changed for two licensed comic titles: Sonic the Hedgehog and Mega Man. Their crossover story, Worlds Collide, was teased at in 2013, and I finally have a copy of it in 2015. The story starts off with Dr. Eggman (Sonic’s nemesis) and Dr. Wiley (Mega Man’s nemesis) discovering their respective alternate realities. Their plan is to team-up and eliminate their foes, but in true style to each universe, in those most convoluted way possible. They soon capture Sonic’s best friend, Tails, and turn him into a Robot Master. Soon the same fate befalls more of Sonic’s friends and they’re ordered to steal a gem from Mega Man’s world. 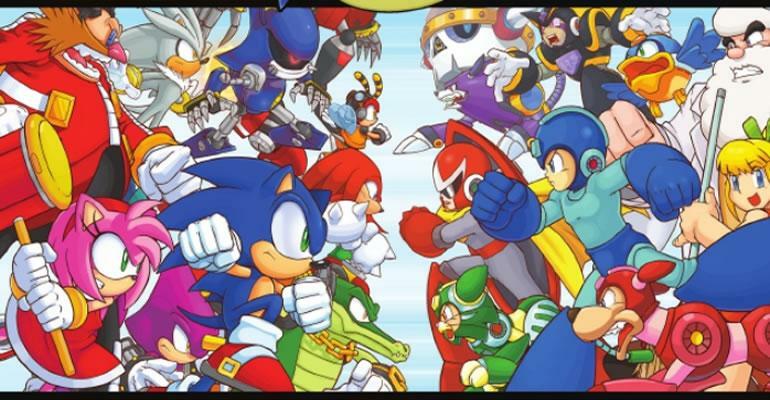 A clone of Mega Man is used in conjunction with Metal Sonic to trick our heroes into fighting each other. They soon discover exactly what is going on. It is nice reading a light hearted story every once in a while and that’s exactly what Worlds Collide is. It doesn’t takes itself too seriously and is packed with humour. While we ultimately want Sonic and Mega Man to triumph, I can’t help but think Eggman and Wiley’s bromance is the best part of the story. The two constantly complement each other, bounce ideas, and their minions play Go Fish together. It’s really a fun story. The cartoony look give both universes and fun feel. Nothing is dark and grim or really childish. Sure, some may scoff at it, but as someone who usually enjoys artwork from the likes of Spawn: Simony, I really enjoyed the overall look and feel of the title. It’s also easy to follow the action and what’s currently going on. Sonic / Mega Man: World’s Collide Vol. 1 was a fun read. I got through it within an hour or so and now I hunger for the next two volumes to conclude this epic. If you want something fun and light-hearted I’d highly recommend you pick this up.